There are days when you are hurried and in want of dishes that can be prepared in a jiffy. Most of my gravies that I make for chapatis are done within 15 mins. So end of 30 mins, the entire meal is done. Our regular dinner is always Chapatis with Side dish, which ought to be a liquid based one. We alter with making it with vegetables, sometimes dals, sometimes paneer. So when there is a need to make something quick, you really can’t be thinking about grinding masalas or planning something elaborate. In situations like that, having ready to use masalas come so handy. I always stock Ginger Garlic Paste, Coconut Paste, Green Chili Paste and different masala paste depending on what I plan for the week. Sometimes the masala paste is coconut, poppy seeds along with spices. Other times it’s based on herbs like pudina, coriander etc. There is always the ready to use powders like Almond Cashew powder, Groundnut Garlic powder, Poppy Seed Powder that help in making a quick kurma. Today’s base is onions along with spices and coconut. Important points to note when you have to store this. Always use as little water as you can. Since this paste has onions, it lets out water. So use couple of tsp of water for it to run smoothly. Use a spoon to scoop and never use your hands. Store in an air tight container and scoop out the amount you want to use. If you plan to make more and use beyond 3 days, then it’s best to freeze them. Grind as thick paste, freeze in cubes. Store in zip lock covers so that you can use as many cubes as you require and not thaw all of them at one go. You can refer how I stored coconut paste in cubes. Wash and dry your ingredients if you are planning to store for more than a day. Finely chop onions, grate the coconut. In a mixie, take all the ingredients and pulse couple of times. Add a tsp of water for ensuring smooth running. Add couple of more teaspoons of water only if required. Store in an air tight container, else make as cubes for freezing. The picture shows masala that was used right away, the reason why it has more water. nice concept of storing for quick versions..somehow I never make any of these pastes..though my frig always has chopped garlic ,ginger and green chilly. 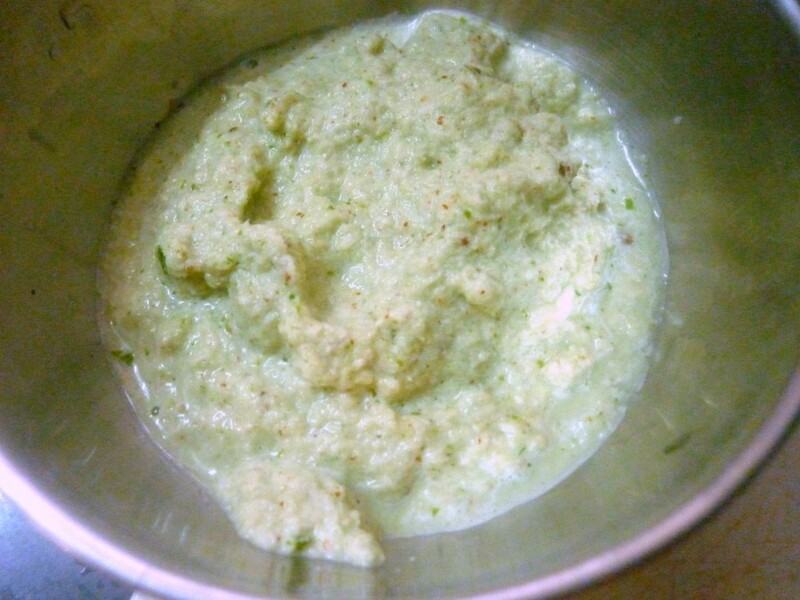 Yet another useful masala paste recipe for the pantry. Thank you for sharing Valli. Even I make curry paste but mine is a little different. I roast all the masalas in oil and then make a paste of it & freeze it. I make ginger-garlic paste that's about it. Wonderful ideas and tips to make these paste in advance, defenetly need them on busy days. Definitely very handy and one of my fav curry paste too. Curry Paste comes handy when one is on a time crunch. Very handy paste,sure it is a great time saver. Very interesting. I have never made this kind of paste. Good one when pressed for time. Valli realy this masala pastes realy helps tnis masala with raw onion is different then mine with try with onion next time. Interesting. I have never tried storing onion based curry pastes.